Plus, his really vague answer as to why he cancelled his tour. Confirmed, Ariana Grande and John Legend Are Singing the 'Beauty and the Beast' Duet! 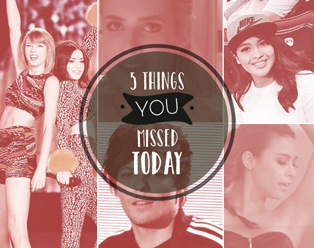 The 5 things you might have missed today! 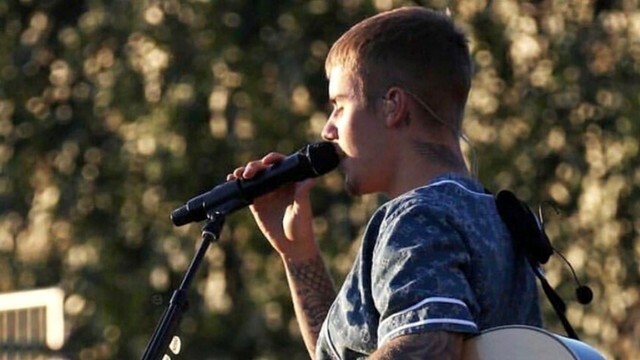 Don't miss the latest on Justin Bieber and Harry Styles's OOTDs, Jennifer Lawrence's next project, The Little Prince's English movie trailer, Elmo Magalona's big move, and Charli XCX's documentary! Don't miss today's updates on Louis Tomlinson's return to X Factor, Taylor Swift's latest 1989 World Tour guest, a Scream Queens spoof, Yassi Pressman's music video, and Jane Oineza and Jeron Teng! Don't forget to read the latest on Jessie J's Pitch Perfect 2 song, The Mortal Instruments TV series, Beauty and the Beast's newest additions, the 2015 Billboard Music Awards, and Charli XCX and Bleachers' tour! Missed her concert last weekend? Sneak a peek at what went down at the event over here. Because you "don't wanna go to school." Read the latest on 5 Seconds of Summer, Hozier and Charli XCX's new music videos, Taylor Swift and Jay Z, and Idina Menzel. The British musician gives "Shake It Off" a punk spin. Lennon and Maisy take on the TFIOS OST track and make it their own. Plus updates on her collab with Harry Styles, the Milan Menswear Fashion Week, Ed Sheeran and Rixton, Anna Kendrick, and Charli XCX and Rita Ora!